When we made the jump to homeschooling our oldest at the end of October, I overlooked one of the things that happens when you have a large family: the other kids would feel left out. Oops! Not that this is unusual, but it just didn’t occur to me that while my six-year-old was doing schoolwork, the four-year-old and two-year-old twins would crowd around, interested in her computer screen and, well, that distracts her. After the first two weeks, we knew we really needed to find something for the Little Ones to do, but since we’re trying to be frugal, I didn’t want to spring for the same program Karsyn’s doing since it was quite pricey per child. Not to mention it’s slightly above-level for the twins. I searched and searched and just wasn’t finding anything that I felt brought enough educational value, wasn’t expensive, and appealed to the right age levels. So when the opportunity to review Rosetta Stone Kids came up, I was pretty excited. I have friends that swear by the adult language programs (which I’m pinching pennies to buy for myself), but had NO idea they had a kids’ literacy program! And at $99/yr for up to four kids and geared toward ages 3-7, it fit exactly what I was looking for! 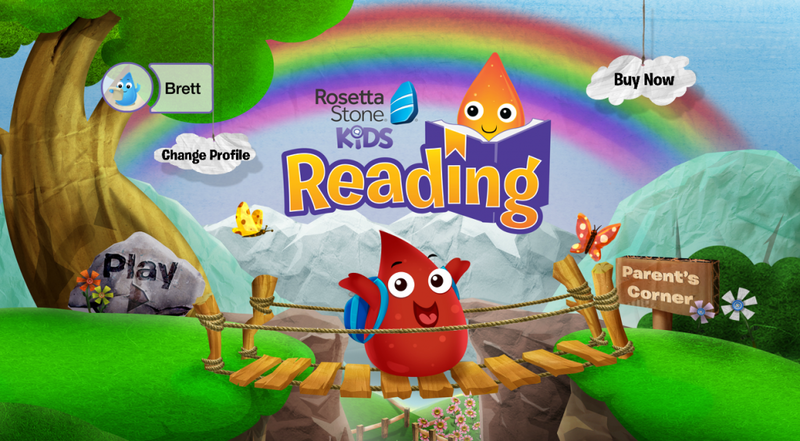 You can download and try the first level Rosetta Stone Kids for free here. I must admit, that we’ve been lucky not to have any issues teaching our kids to read yet, but then again, we’re not very far into it. We LOVE books in our home and have fostered a love of reading in our children pretty much from birth. From being read to, to learning letters and eventually to actually reading, we’ve been blessed with ease. Our first-grader reads way above grade level and rarely needs help and has taken over much of the reading to the younger kids and even started teaching our four-year-old. Much to her disappointment, she was too advanced to get much benefit from this program. But Brett and the twins have LOVED it so far. We downloaded it to their tablets (yes, it’s available for Android and iOS!) and sometimes they get to do it on the laptop if one’s available. It’s simple enough that the twins can navigate and understand the first level games (they’ll be 3 in April) with only a little bit of help. They love the little Lingos, especially Goldie and Gene, and ask to play with them all the time. 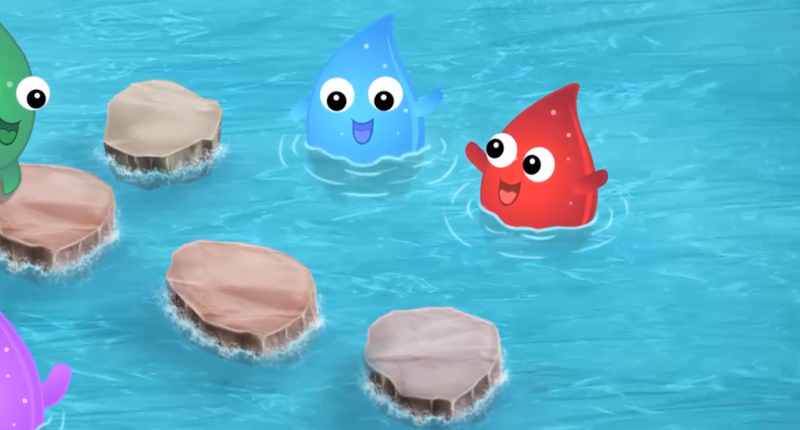 Almost like the little characters have become their friends (they are pretty cute)! 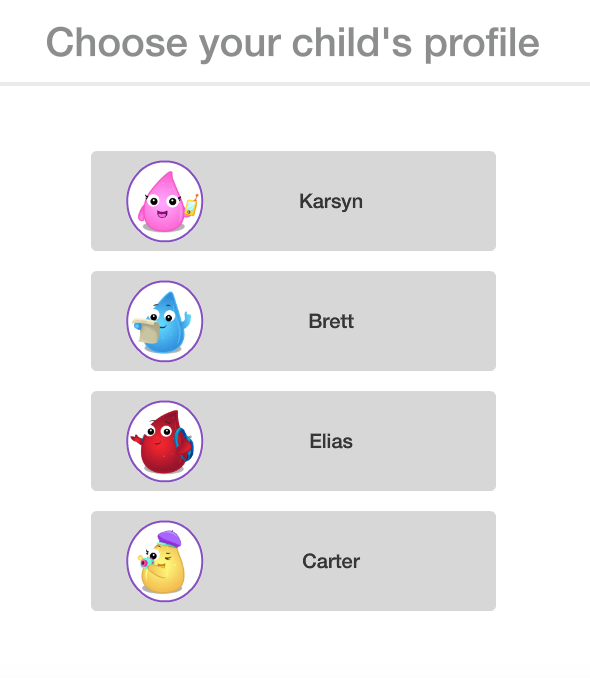 Personally, I’m loving being able to track all of the kids’ progress from a simple interface. And I cannot say enough about the fact that they are story-line based to keep their attention, and flexible enough to key in on each child’s strengths and weaknesses to allow them to go at their own pace and master each skill before moving on. What I love best is that this is the perfect option whether you intent to homeschool, or just want to give your preschooler a head-start before they head into Kinder. 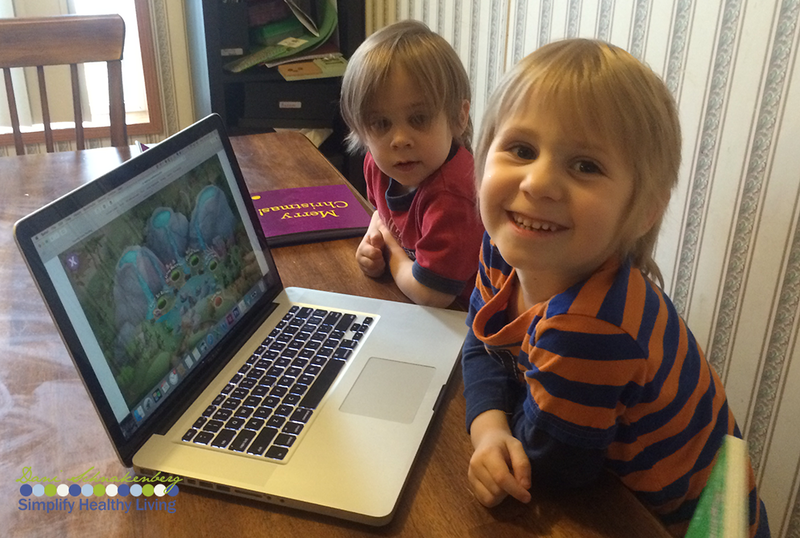 ANY beginning reader can benefit from Rosetta Stone Kids! It definitely doesn’t replace one-on-one reading with your child, but this is amazing technology to add to your teaching toolbox with the added benefit of being able to quickly key in and make it fun to strengthen their skills where it’s need. Remember, you can check out the first level here for free! What are your favorite ways to encourage your children to read? This is awesome. I would love to have program in our home for our granddaughter, and our teenage daughter. Be sure to check out the link to the free trial for your granddaughter! Sadly, it’s only for beginning readers, so not much use for a teenager. Always great to start them off reading young :). I love to see happy faces when they are learning! This looks like a fun, educational program for kids! I can’t wait to check it out! Looks like a great program! We do a lot of reading in our house! This looks great! I am sure my kids would love it too.